Serious concern has been expressed after a needle, thought to have been used for illegal drugs, was found in open view on a Lurgan street. The syringe was discovered by a local resident in Shankill Street - close to two campus of St Ronan’s College. 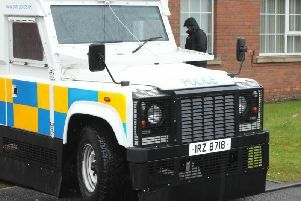 Sinn Fein Councillor Keith Haughian said: “A member of the Shankill community reported this to me on Wednesday morning. “I reported it to the police and then took it to the doctors surgery to be properly disposed of. “Anyone from the town will know how close this is to a number of schools,” said Cllr Haughian. “It is a street used heavily by students and could easily have been picked up. “This type of irresponsible behaviour has no place in our proud community. “Sinn Féin has always stood firm against drugs dealers. We will continue to do so.